You may as well pack your e-bags and put on your “Just Married” flip flops because we’re about to take you on a tour of honeymoon options and locations. No airline fees, no mini hotel shampoos, and no layovers to your final destination — just your computer, your excitement, and The Yentas! It’s exciting to bring on Runya Simon, a Honeymoon Planning Specialist who is was a recent-ish bride and and now mother to baby girl Brynn! You may remember her gorgeous day we featured in Real Weddings! Enjoy! Wedding planning can be quite a megillah: so many florists to meet, so many cakes to taste, and many gorgeous gowns to try on! While you are over the moon with excitement and busy hashing out all the details, don’t forget that after you say “I do” and after you dance your little tushie off at your reception, you and your honey will get that much needed alone time and relaxation on your very own vacation made for two: your honeymoon!! There are many ideas of the derivation of the term “honeymoon,” one of which can be found in the Merriam-Webster dictionary that dates back to 1546: “the idea that the first month of marriage is the sweetest,” and in Hebrew it translates to “yerach d’vash,” or honey month. With iPhones, Blackberries, computers, and iPads sadly taking over our everyday lives, going on a honeymoon is not only a chance to take the much-awaited trip with your honey and escape work and life’s responsibilities, but it’s also a way to truly unplug from the hustle and bustle and focus on your new life together as husband and wife. It’s also pretty awesome to bask in the glory with all the travel perks that come along with being newlyweds! Couples always ask me when they should plan and book their “moon” and my answer is always right away. The ring is on your finger, the date and venue have been booked, so start thinking about the type of trip you want to take and when. Most traditional honeymoon locations book up and you want to stay ahead of the game and make sure you get exactly what you are looking for! Depending on the departure date of your honeymoon, be sure to prepare as best you can for the upcoming trip. This is not just any old vacation; you have many things on your mind and wedding plans that are coming to fruition. So make yourself a checklist and ask these simple questions: Is my passport up to date? Do I need travel shots? Do I have the right wardrobe? Should I pack before or after the wedding? Should I wear my sparkler of a ring, or play it safe with a simple band? Your honeymoon planning should be totally stress-free, so don’t wait until the last minute to plan. Pamper yourself and use an expert honeymoon travel agent, such as myself, to help you with every detail to make this the dreamiest “moon” that’s all about you: the happy couple! Honeymoons have evolved over the years and I am here to tell you that it’s 100% acceptable to break the mold! Your “moon” should be special and specific to whatever you want it to be. There are no rules that apply! Traditionally, the couple leaves on their honeymoon the following day or two after the wedding, but this is not necessarily the case anymore. Couples are now carefully taking into consideration where they want to go, what they want out of their “moon” (besides just alone time, wink wink), and what time of year they want to make this sweet trip! Depending on the locale that you choose, you may need to wait a few month. Let’s be honest: if you get married in December/January and your dream honeymoon is a trip to Alaska, it’s probably not the best time to visit the land of glaciers and salmon. Likewise, if your wedding is planned for July and you love the idea of visiting Australia, you probably have forgotten that it’s mid-winter there! It’s okay to wait. You have waited so long to find your soul mate, and have patiently waited for your turn down the aisle, so it’s all right to take your time and plan your perfect honeymoon! 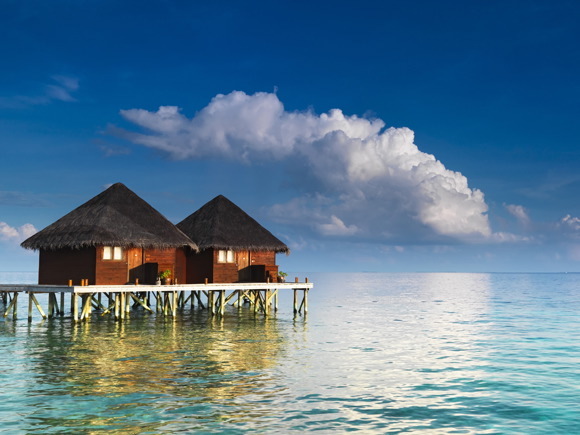 Your honeymoon doesn’t have to be completely paid for out of your own pocket either! Register for memories that will last a lifetime with a honeymoon registry! This is a popular option for couples that would like to add experiences to their gift list: great as a stand-alone registry or to complement a traditional one. A honeymoon registry lets you create a unique gift list of all the parts of your dream vacation, such as the fantasy suite you’ve had your eye on, relaxing massages, romantic dinners, and exciting excursions. My husband and I got married in the month of March 2019, yet we dreamed of a Greek/Mediterranean honeymoon, but we soon found that our “moon” would have to wait until June in order to have optimal weather and other tourism factors, so three months later, still newlyweds, we embarked on a wonderful Mediterranean Cruise adventure which we will never forget. Two days after the wedding we were lucky enough to escape to Maui for just a few relaxing days in paradise to unwind and enjoy our “Just Married” status (Brides, I know you want to wear your Mrs. ____ Juicy track suit on the plane!). If you choose this postponed honeymoon, you can always get away for a night, use air miles to go somewhere not too far from home, or drive to some romantic location for a few nights, all while your official honeymoon awaits you! If you are a traditionalist and must go on your honeymoon the day or two following your wedding — you go girl (and guy)! 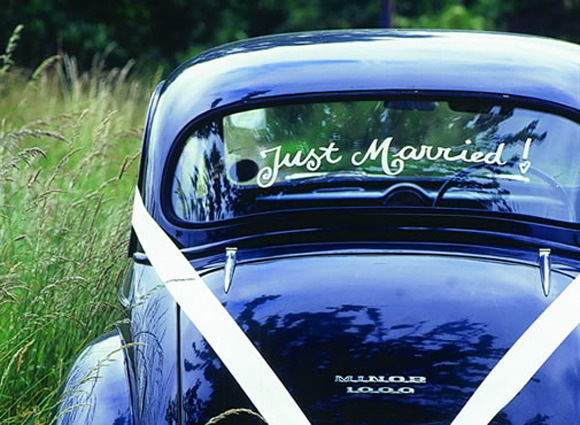 When and where you plan to celebrate the sweetness of your new nuptials doesn’t matter as long as you’re both happy. Whether it’s on a white sandy beach in paradise, or amongs lions and tigers on an African safari, you will be snuggled close with your beshert! Honeymooning with your honey will be the icing on the cake, the cat’s meow and the bee’s knees! Saying “I do” is just the start to the many adventures you will have together, so don’t let your honeymoon be just an afterthought! This trip marks the newlywed phase of marriage and should you have a little too much fun “honeymooning,” you will soon need to book a Babymoon — but that is a whole other type of trip that we can discuss when the time is right! Previous post How Involved Should A Bride Be With Her Bridesmaids? Next post When Do You Send Thank You Cards for Wedding Gifts?